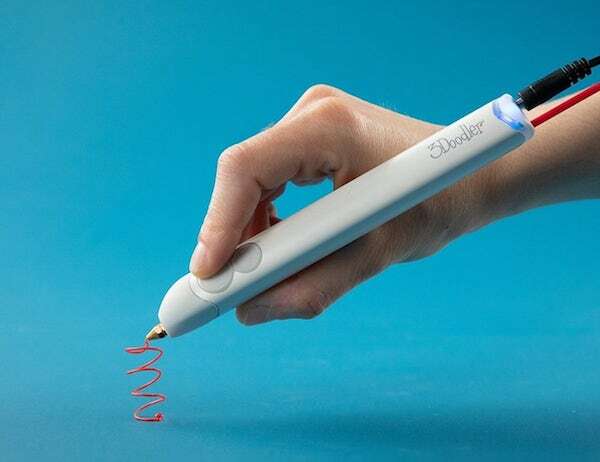 Give your doodles life with the 3doodler Create+ 3D Printing Pen. This pen allows you to draw solid 3D objects by extruding heated plastic that hardens in almost an instant. For example, you can draw a flat triangle then draw up and hold. Finish the last two edges and you’ll have a 3D triangle in front of you.